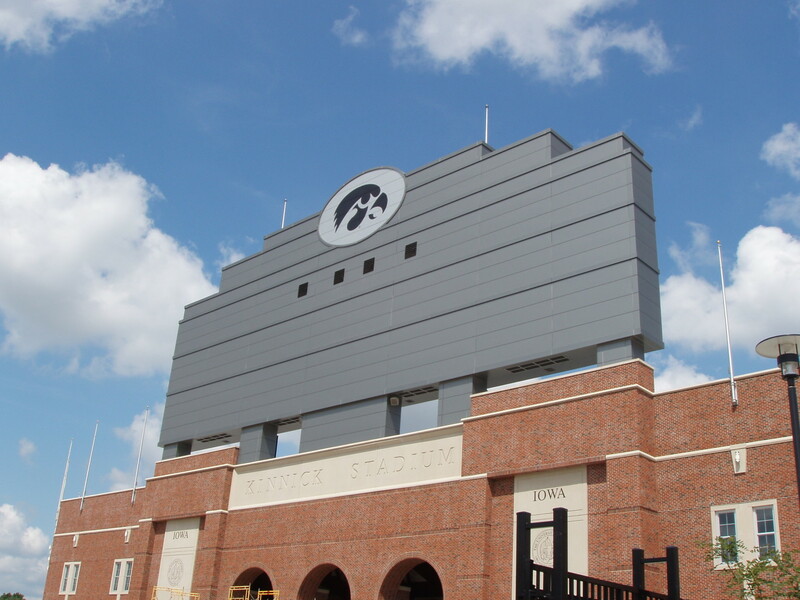 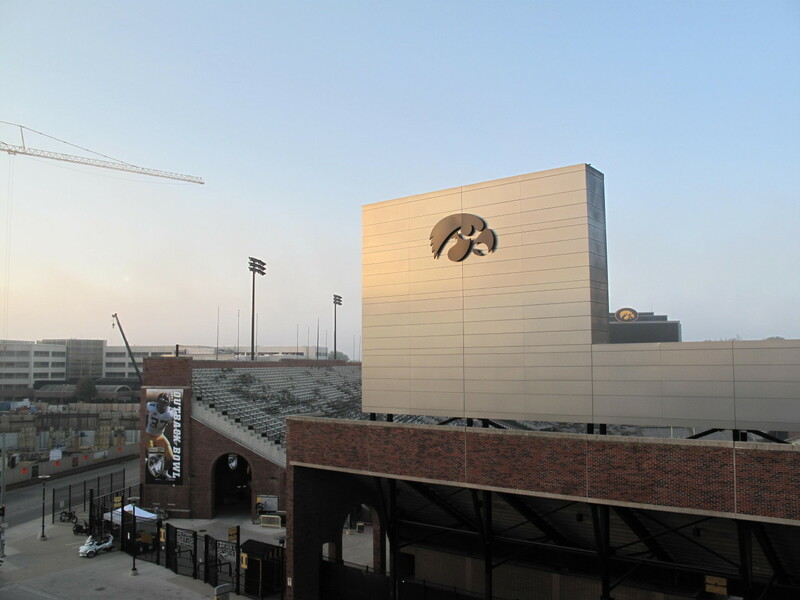 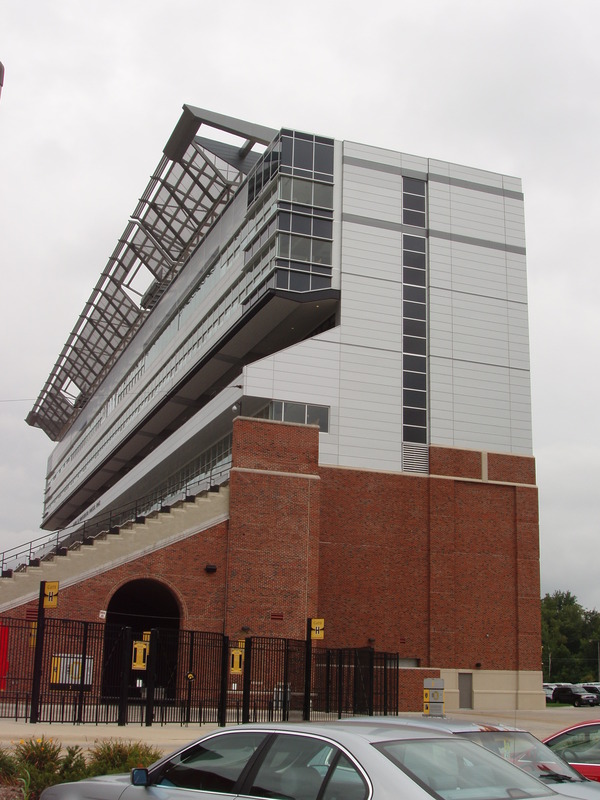 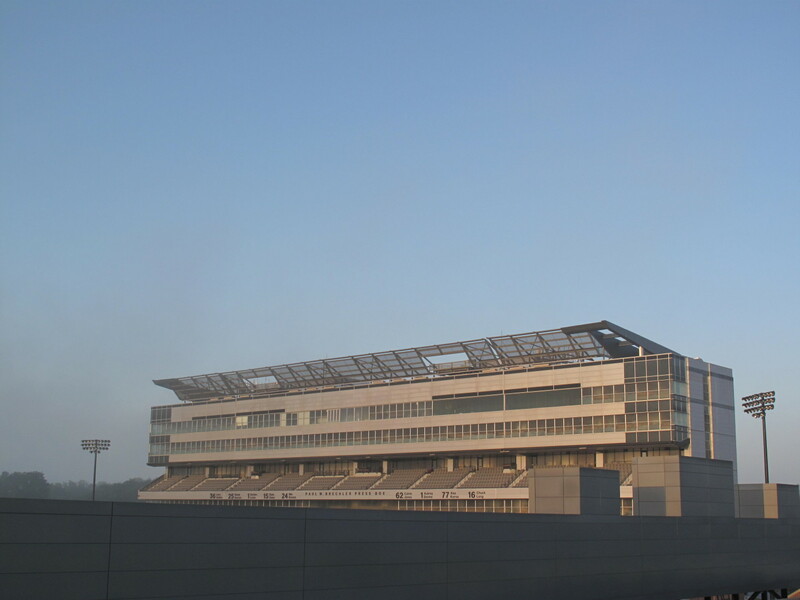 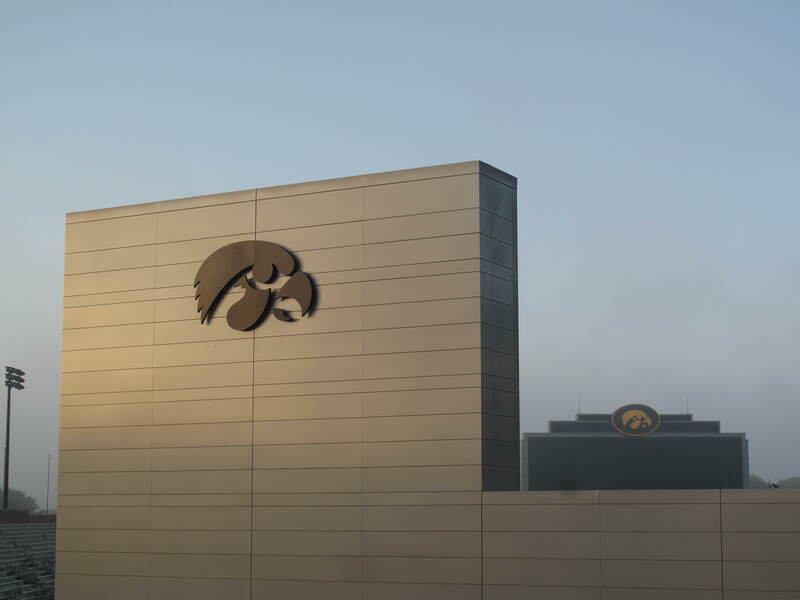 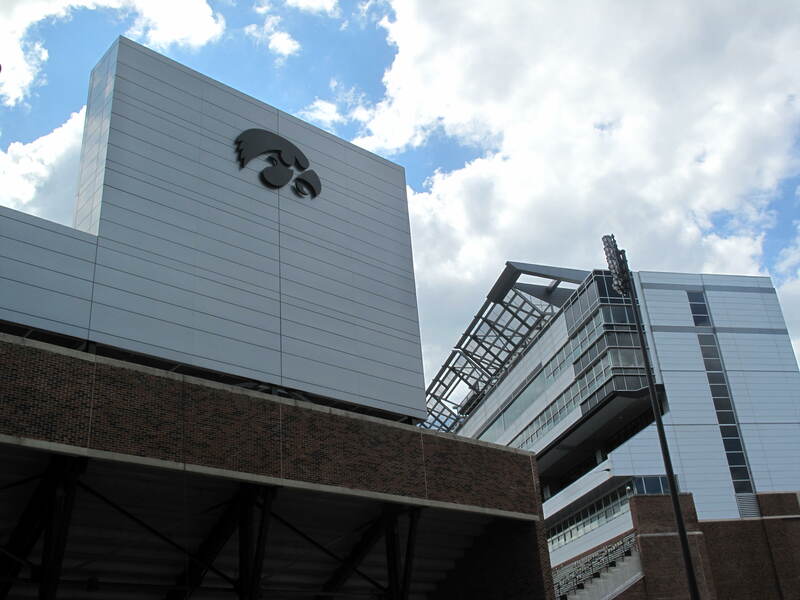 Metal Design Systems’ Series 20 Rainscreen was utilized for the Kinnick Stadium Press Box area in a standard silver and a custom pewter ACM. 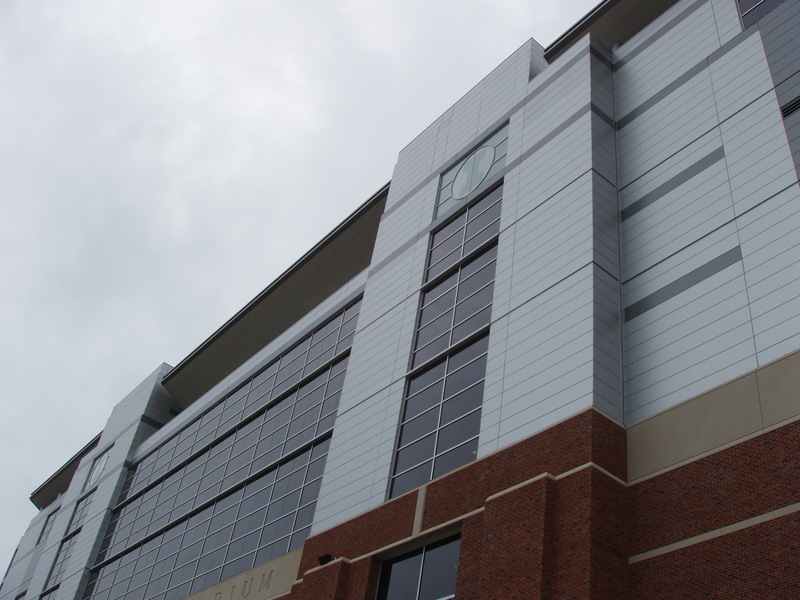 MDSI worked alongside the glass and glazing trades to coordinate the panel installation. 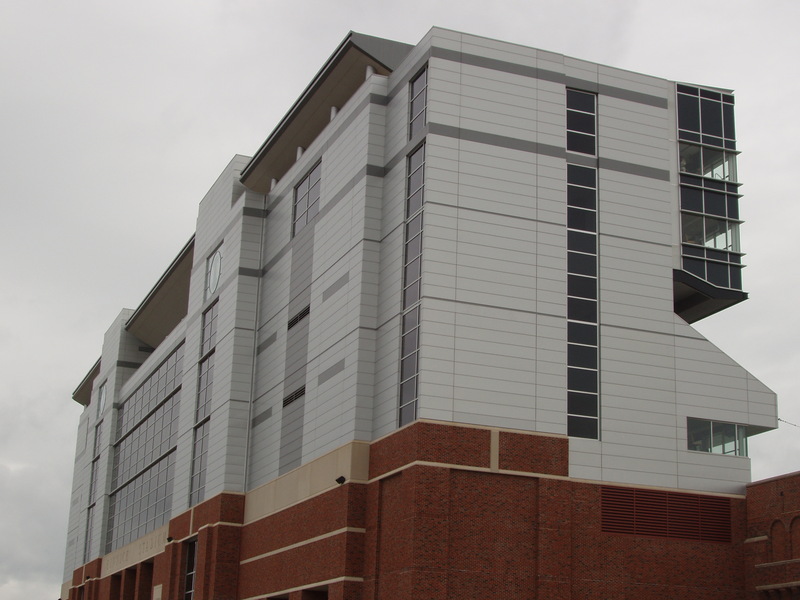 The Series 20 Rainscreen is maintenance free and offers a superior finish with extrusions enveloping the panel system. 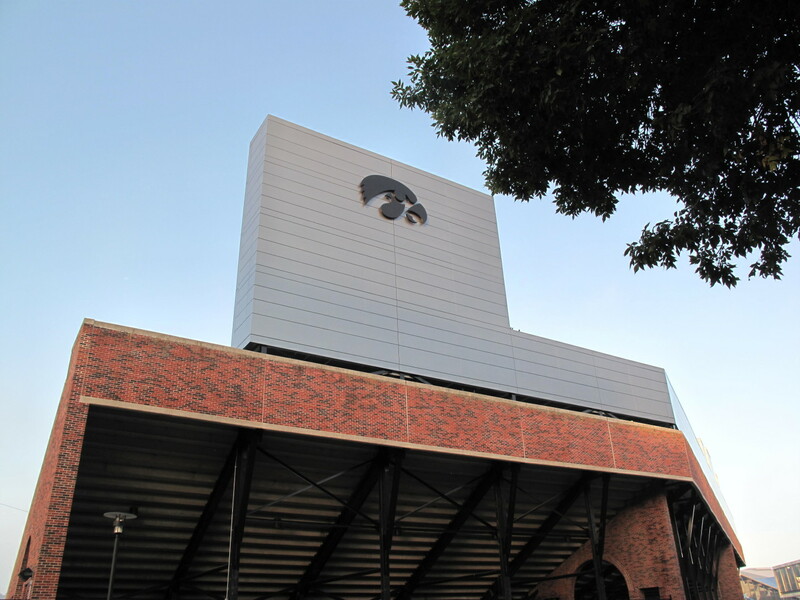 A custom logo was manufactured for the façade, and a perforated panel sunscreen completes the press box. 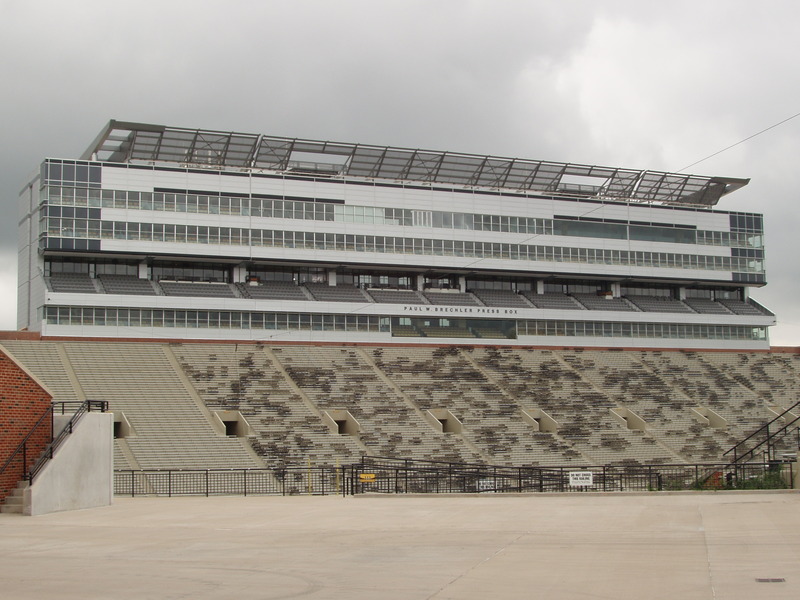 The South Scoreboard utilized MDSI Series 10 System with a custom pewter and white ACM, while the North Scoreboard featured Series 20 custom pewter ACM. 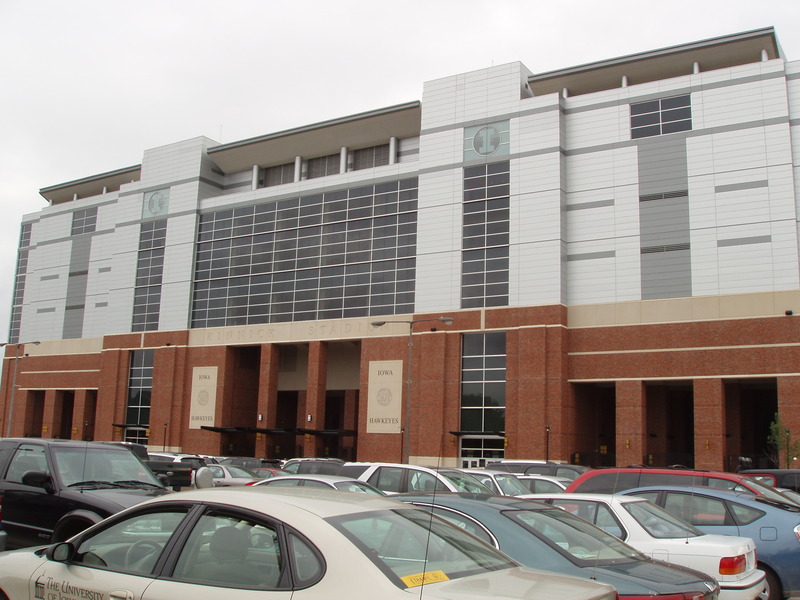 This was completed on a very fast track schedule. 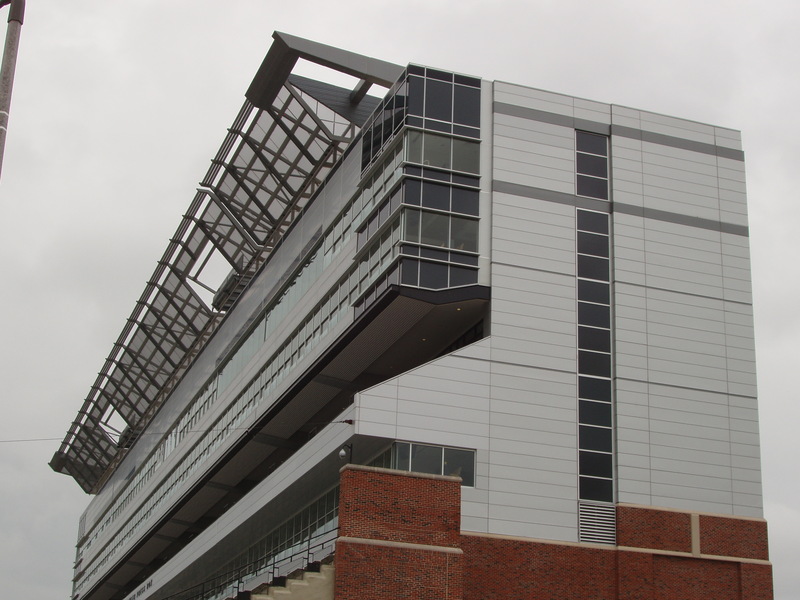 Metal Design Systems provided solutions for delivering both shop drawings and materials in less than two months.